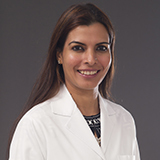 Dr. Verushka completed her M.B.B.S from M.G.M Medical college, Mumbai,India in 2004 and obtained her D.N.B ( Diplomate of the National Board, New Delhi ) in General Surgery in 2012 In Lilavati Hospital and Research centre, Mumbai, India. She has attained significant exposure in conducting various general, laparoscopic and gasto-intestinal surgeries along with vast experience in breast, thyroid and ano-rectal diseases. She went to attain her Membership at the Royal College of Surgeons (MRCS), Edinburgh in 2015. She has obtained her FMAS (fellowship of Minimal Assess surgery) degree, India in 2017. She has a number of publications to her credit. She is very well updated in her field by attending and participating in various local and international conferences. She can speak English, Hindi.